The Blue Cruise in the Mediterranean and Aegean seas is one of the most popular leisure activities in the region. Whether you want to spend your vacation in an active way, or if you just want to relax and leave all the problems behind, then chilling on a picturesque Turkish gulet, a vessel specially designed for drifting through the turquoise waves of the mediterranean, is surely the best option. Tour operators offer dozens of routes along the coast, passing through the most beautiful lagoons, wild beaches and deserted islands with ancient Turkish and Greek ruins. The most popular and worthy route starts in Fethiye —a charming coastal city in the foothills of Babadag mountain — which ends by the ruins of an ancient Lycian city Olympos. Throughout the voyage you will visit one of the most beautiful and most photographed beaches in the world — Oludeniz beach, a wonder of the alluring Butterfly Valley. Explore the sunken city of Kekova and many other relics of the ancient Romans, Ottomans, Lycians and Greeks. The whole adventure will take 4 days and 3 nights and during this voyage you’ll experience the true spirit of life on a boat. You can try some fun activities like paragliding above the Oludeniz beach, hiking in stunning valleys and snorkeling in crystal clear turquoise sea. Every day on your voyage will begin with a classic Turkish breakfast which is very gourmet! Have you tried Turkish fermented olives? At first they look kind of unappetizing, but when you try them, it’s hard to stop! Served with Turkish cheese they make a perfect combination. Beyaz peynir, Kashar, Labne and many other types of cheese with delicious vegetables, bread and jams will give you a variety of tastes for any foodie and leave you sitting at the table with a big grin. Lunches are served with hot rice dishes or pasta with traditional Turkish vegetable dishes, beans and of course bread. After your leisure activities you can rejuvenate yourself with tea, coffee and biscuits. Every night you will have a different dish of meat, chicken or fish. Main dishes are served with Turkish rice, variety of mezzes, salads and fresh veggies. Vegetarian dishes are also available upon request! After dinner you will be provided with delicious fresh seasonal fruits. Some voyages serve different snacks like famous Antep pistachios, Turkish hazelnuts, almonds, other nuts and dried fruits. İf you are not satisfied with this list or you have some special dietary requirements — you can inform us of your preferences when making a booking. 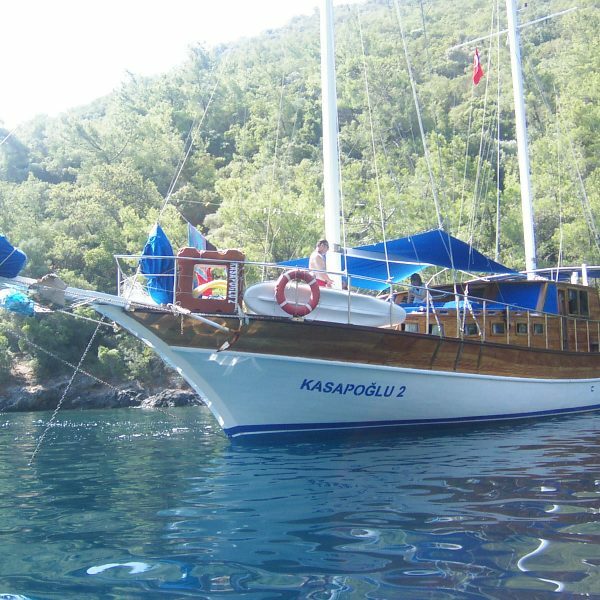 Gulet is a traditional Turkish handcrafted yacht specially designed for sailing the mediterranean coastline. Modern Gulets are not only picturesque, but also have impressive stability on the waves and thus provides you with a high level of comfort and safety. Depending on the layout of Gulet, you will be able to chose between twin, double, triple private cabin or a shared cabin up to 4 people. Whatever you chose — standard or luxury class — you will get a comfy cabin with a bathroom inside and the whole deck with shaded lounge, sun beds and most likely you will have special equipment for fishing, snorkeling, surfing and other activities! Prices for a journey start around 220 euros per person in a shared cabin and raise over 1000 euros per day for a gulet charter. The fastest and the cheapest option! 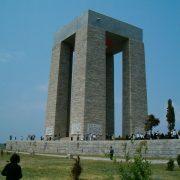 The closest airport to Fethiye is Dalaman, which is 45 km away. 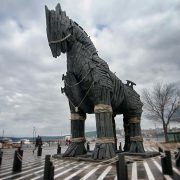 Fortunately you can fly there from Istanbul with the low cost Turkish airline Pegasus. After your arrival in Dalaman you can either catch a bus or get a private transfer. Pro’s: Fast, comfy, cheap, nice view through an illuminator if you are lucky. İt may seem ridiculous, but the prices for a bus are often more expensive than an airline ticket. You will also have to spend more than 12 hours in a bus. Contras: expensive, time-consuming, crew speaks only Turkish, WC only on stops. We can help you find the best offers, lowest prices and organize your whole trip! Feel free to ask any questions!